(N.B.The fees shall be quoted, after the receipt of details indicted in Client Information Proforma). The Quality Manual and Processes are made in line with the International Standard. The other parameters are as per Modules indicated and we shall adhere to the time schedule. On completion of this phase the Quality Manual will be ready. It may be noted that staff training schedule will be conducted here itself as per detailed discussion with the management. On completion of this phase the system will be ready for application to the certification agency. Complaints : you spend a lot of time dealing with (or avoiding) irate customers. Time : you never have enough time for the necessary and important work. Hassle : There are always fires to put out. Overload : you always have too much to do. Under-Load : Others dump their work to you. Confusion : No one seems to know what is going on. Neglect : No one wants to hear your views or problems. 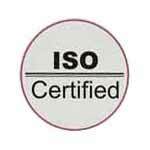 On completion of this phase your organization becomes certified to ISO-2000. All businesses have an established way or system of doing businesses, likelihood is that system is quite effective, but informal and probably not documented. Business is about people working with other peopleâ�¦.customers, managers, staff, and suppliers. A quality process makes us look again at the way all these people work together with the challenge that it can and must be done better than before. Can they be made faster, more robust, practical, and more flexible? First time right every time, - No reworks or wastages. Low attrition rate of employees. Good employees stay.